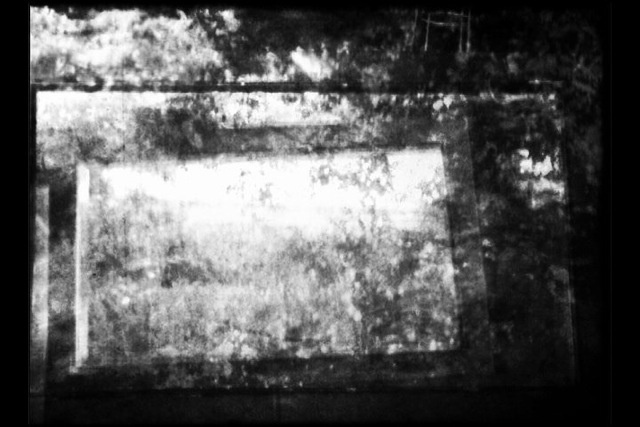 A mirror in the filmmaker's backyard reflects his childhood home. The black frame of the watermarked mirror becomes a mysterious portal, distorting brick, branch, and flesh into an amorphous hodgepodge. A self-portrait.